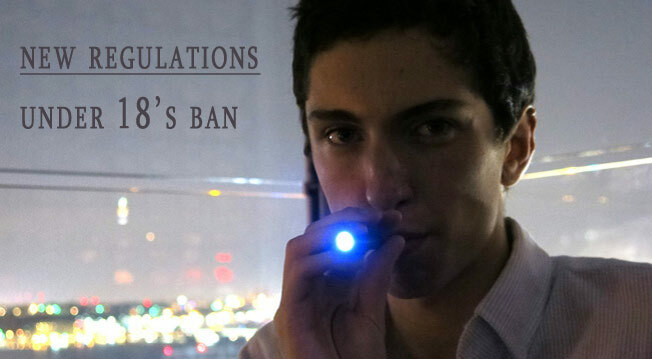 With the recent, (but limited) research findings announcing that e-cigarette use among teenagers is increasing in the US, state legislators are increasing concerned that federal government is not acting quickly enough to regulate their sale to minors. At present anyone under 18 can buy e-cigs in many parts of Massachusetts, with only certain places, such as Boston having firm rules in place regulating sales.US Food and Drug Administration has yet to issue guidelines regarding the sale of e-cigs to the public but local lawmakers want laws have introduce their own measures. Rep. Jeffrey Sanchez, D-Jamaica Plain, believes that current state laws don’t address retailing of e-cigs to minors. His bill indicated that e-cigs should be regulated in the same way as tobacco products and prevent manufacturers from providing samples unless it’s in tobacco stores or smoking bar. Rep. Pail Brodeur, D-Melrose, co-sponsored the bill. Studies have yet to investigate the possible dangers of e-cigarettes. Tami Gouveia, executive director of Tobacco Free Massachusetts, also noted that since no federal agency regulates this product, standards have yet to be implemented and consumer protection set in place for the safety of the e-cig user. From 2008 to 2010, the US FDA has been able to prevent e-cigarette importation on the basis that these are unapproved drug and device combination products in accordance to the Family Smoking Prevention and Tobacco Control Act. However, a federal judge overturned this decision as e-cigarettes may be regulated similar to tobacco products unless they claim to have therapeutic use.